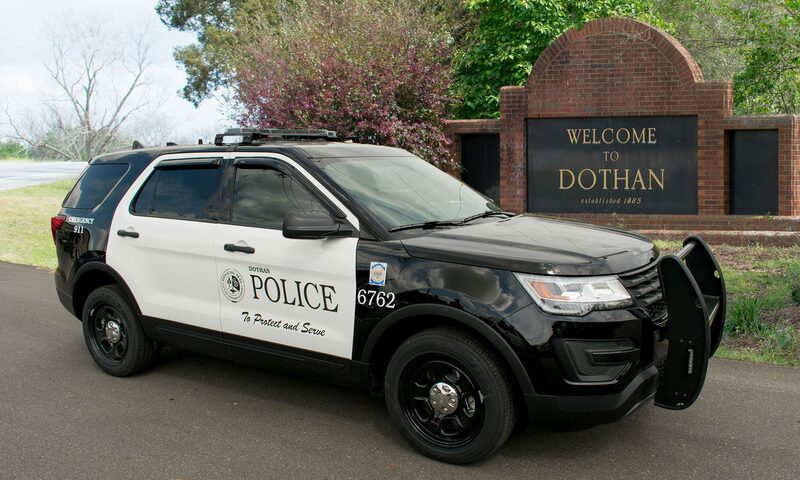 On April 5th, 2019, the Dothan Police Department’s Crash Team responded to a traffic fatality at W. Main Street and North Woodburn Drive. After the completion of the investigation, charges have been filed against white male Christopher Britt Hamm, 45 years of age, of Dothan. Hamm has been charged with one count of Manslaughter ($60,000 bond), and one count of Assault 1st Degree ($60,000 bond). Hamm was also charged with Driving Under the Influence at the scene of the crash. Hamm has been processed and transferred to the Houston County Jail. All persons are innocent until proven guilty. The 2019 Junior Police Academy is now accepting applications from Wiregrass youth ages 12-17 who are interested in learning more about the police department. The JPA is a two-week summer program designed to motivate young people to be outstanding citizens through law enforcement education. An extension of community policing, the JPA transforms the traditional role of a police officer into one of mentor and friend. At the same time it encourages young people to be our partners, not adversaries, in building safer schools and communities. Also, a Junior Police Advanced Class is being offered for participants aged 15-17 who have already completed a prior Junior Police Academy class. For more information please feel free to send us a note online or call the Community Service Division at (334) 793-0230. Applications can be picked up from any Dothan Police School Resource Officer or by visiting the front desk at the police department. On April 5, 2019, at approximately 11:20 P.M., the Dothan Police Department responded to the intersection of West Main Street at North Woodburn Drive after receiving information of a crash with injuries. Investigators with the Dothan Police Department’s Traffic Division responded to the scene due to the severity of the crash. Through preliminary investigation, it has been determined a 2014 Chevrolet Silverado, traveling west on West Main Street, collided with a 2014 Ford F150 that was traveling on North Woodburn Drive. The driver of the Ford, Richard Lane Williford, 57 yoa of Dothan, Alabama, succumbed to the injuries received during the crash and was pronounced deceased at the scene by the Houston County Coroner’s Office. The passenger of the Ford was transported to a local hospital with critical injuries. The driver of the Chevrolet was arrested at the scene for driving under the influence and transported to the Dothan City Jail. More charges are pending following the completion of the investigation. The Dothan Police Department would like to express our condolences to the Williford family in their time of loss. On April 4th at 3:00 AM, Dothan Police were dispatched to a vehicle accident in the 6800 block of W. Main Street. A single vehicle was travelling East on West Main Street and left the roadway causing the vehicle to roll numerous times. The driver was pronounced deceased at the scene. The driver has been identified as 40 year old Kyle Pehrson, of N. Park Avenue, Dothan. The crash is being investigated by the Dothan Police Department Crash Team. The Dothan Police Department would like to express our deepest sympathies to the Pehrson family.